Now that Spring is poking her head out of the clouds, it’s absolutely the best time to invest in a bit of solar. And all solar installations need a controller which, if you want MPPT technology – and you may not know it but yes, you do, can be the most expensive part of the install. There are two types of solar controller PWM, the standard, cheap offering, around £15 from Maplins in Bath, and MPPT, of which it is usually recommended to go for a Tracer, £65 from Bimble Solar. MPPT can offer a substantial increase in power harvested by matching the panels and batteries to the best voltage for maximum power (MPPT = Maximum Power Point Tracking )*. By contrast PWM simply switches off part of the time to avoid over-voltage. Going a bit techie, this means that the greater the difference between the VOC of the panel and the voltage of your battery (12V–14.8V) the more power is wasted whereas with MPPT you can string panels in series up to the maximum input voltage of the controller without losing power. The cheapest solar panels are those used for domestic arrays and are generally around 36V which either won’t work or waste most of their power with a PWM controller. Charge voltage is fixed at 14.7V which may be a little high for some, though not high enough to properly charge or equalise traction batts, but will give them more than a tickle. Max solar input is 50V. Not as good as the latest Tracers and may be not as reliable, but possibly a good budget option for a small setup. With early March sun the MPPT was giving 3.7A into the batteries while the PWM gave 2.5A which was 32% lower than the MPPT. Both charged the batteries well, but 20%-32% more power was gained by using the MPPT. Liveaboard boaters on the K&A are to hold an information and campaign stall in Lamb Yard, Bradford on Avon BA15 1FG on Saturday 18th March 2017 from 10am to 4pm. There will be a boat fire safety talk by Dorset and Wiltshire Fire and Rescue Service on Tuesday 14th March 2017 at 7.30pm at the Waterfront, Pewsey Wharf SN9 5NU. 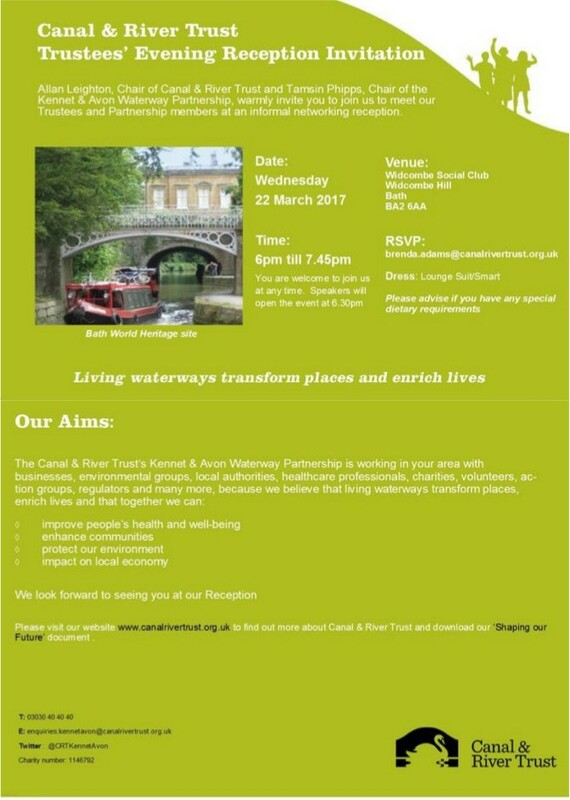 The next meeting of the K&A boaters’ action group will be on Monday March 13th 2017 at 7.30pm at the Canal Tavern, 49 Frome Rd, Bradford-on-Avon, BA15 1LE. 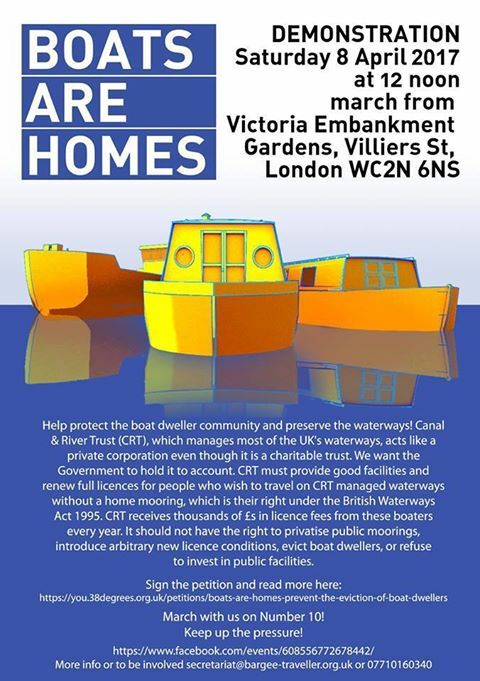 There will be a national Boats Are Homes demonstration in London on Saturday 8th April 2017. Transport will be available from the K&A – contact info@boatingcommunity.org.uk or 07928 078208. You are currently browsing the Kennet and Avon Boating Community Website archives for March 2017.